What do you know about earthworms? Before this internship, I knew a few basics: they’re useful for fishing and they live underground. But, what do these small creatures have to do with water quality and soil health? It turns out that they are very good indicators. Today I’m going to touch more on our most recent project for this summer, earthworm counting, and how it has shown me that every little bit of information counts. Before we start each research project, the other interns and I all sit down with our supervisors and discuss what the projects are and how we’re supposed to go about them. When this project was presented to us, I was more than a bit skeptical about how this could help us. So far, through the two weeks of earthworm counting that we have completed, that skepticism I originally had has faded away. LEFT: I am looking for the middens within the area of our research point. RIGHT: Cutting the cover crop and removing residue to find the middens. Earthworm counting is exactly what it sounds like. We head to test plots all over the state to take a look at the number of earthworms within a 19” x 30” frame between the rows of crops, corn or soybeans. We count the middens, the tops of the worms’ holes where the organic matter is pulled into the tunnel, closely examining the soil surface looking for the mounds they leave behind. When we think we found one, we dig with a pair of scissors to look at the underside of the midden and find the tunnel. The main variable that we look at is cover crops – are there observable differences in the number of earthworms between strips with cover crops and those without? Earthworms are very good for our soil and the more we have, the better the soil health of that area is. One of our other interns, Kaleb, found a midden while we were at a farm in southwest Iowa. The last time that I went home, my cousin, who is in 6th grade, asked me what some of the projects were that I was working on and I told her that I was doing earthworm counting. She didn’t sound very impressed when that’s what I told her, so I decided to have her complete the experiment herself at home. After about a week of testing the fields at home I had my cousin tell me any conclusions that she came up with. She told me that in the places with cover crops, the number of earthworms was higher than places with no cover crops — which is the same exact results we have been getting in the research plots across the state. But, that wasn’t all. To me, the best part about all of this was that I allowed a 6th grader to conduct an experiment that can provide important information about soil health in about 30 minutes of instructions. Research can come from anywhere and anything and the impact it can have is limitless. It also appeals to me in that it allows for all generations to be involved with the same issues. You can have a 6th grader counting earthworms to find out more about soil health while at the same time you can have a farmer taking core samples to test for the same thing. Research is a big part of my internship, but it’s also a big part of the future. When understanding complex issues such as soil health, every little bit of information counts, and I’m super excited that I get to experience all of this research firsthand this summer! Donovan Wildman is participating in the 2018 Water Resources Internship Program at Iowa State University. Wildman grew up near West Branch, IA (Clear Creek Amana High School). In the fall, he will be starting his sophomore year at Iowa State University, majoring in Agricultural Engineering with an emphasis in Land and Water Resources. The common nightcrawler, Lumbricus terrestris, is a deep-burrowing worm species that is found in many Iowa crop fields. The presence of nightcrawlers can serve as one indicator of the overall soil health in Iowa’s agricultural ecosystems. 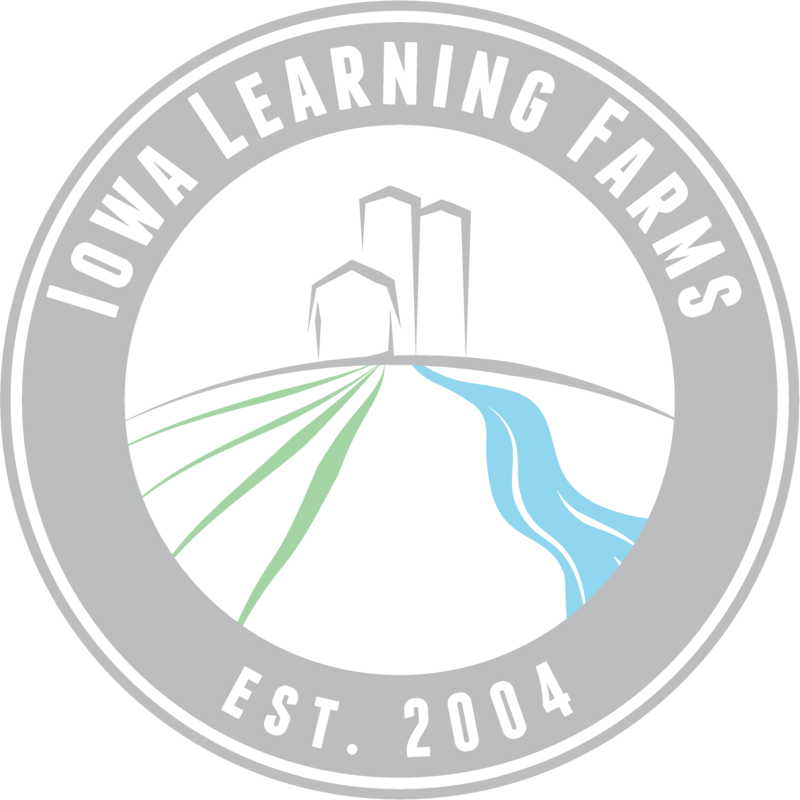 Ann Staudt, Assistant Manager of the Iowa Learning Farms, will discuss ILF’s recent research that analyzes the relationship between earthworm populations, cover crops and overall soil health. While soil health can be difficult to quantify, earthworms are a very tangible early indicator of soil health, long recognized by farmers and gardeners as being beneficial organisms in the soil ecosystem. Staudt hopes that this research will teach us more about the connections between earthworm populations and soil health in a cover crop versus no cover system, and that earthworms can be a simple, straightforward indicator of soil health. Staudt is an environmental engineer who actively blends scientific knowledge and creative expression through her work and teaching. Staudt holds her MS degree in Environmental Engineering from the University of Notre Dame and BS degree in Chemical Engineering from Iowa State University.